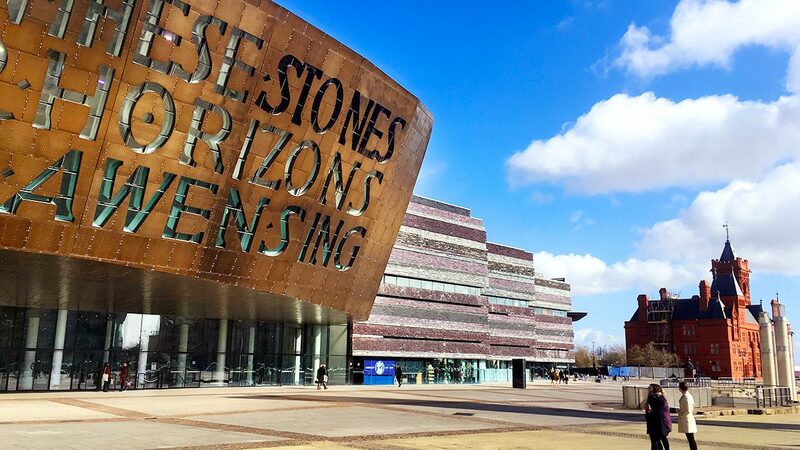 The stunning, magnificent Millennium Centre. 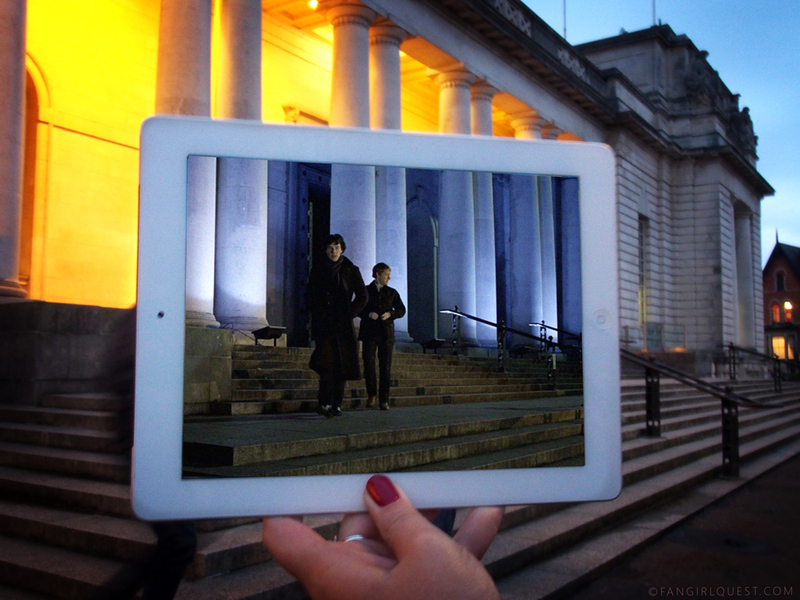 If you’re into the BBC fan favourites like Sherlock, Doctor Who and Torchwood, you might want to consider a trip to Cardiff, the capital city of Wales. Not only is it currently the home for the incredible Doctor Who Experience (at least until 2017 before the center will be moved to another UK city), but it’s also a very popular filming location for countless of cool shows and films. 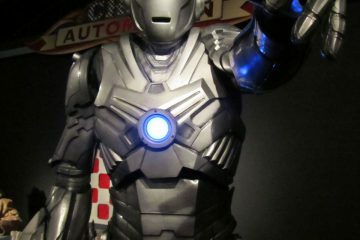 This makes it the perfect geeky travel destination! And unless you already live in the country, and are planning a trip to the UK, you might find yourself thinking: “But I’m going to London”. Well, our very honest opinion, if you just have the couple of extra days to pinch from your London stay or can add to it, you should definitely do both! There are easy, direct (and very affordable) travelling options for those staying in London but wanting to get a slice of the Welsh cake as well. 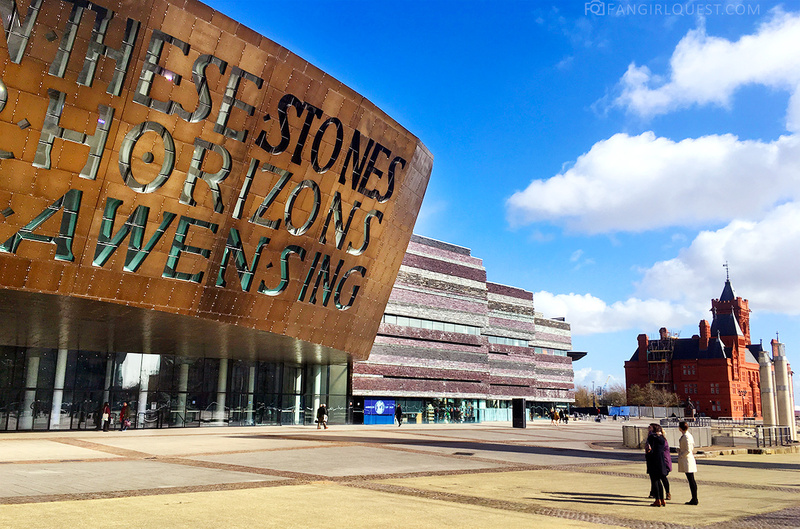 What to see and do in Cardiff… and how to get there? 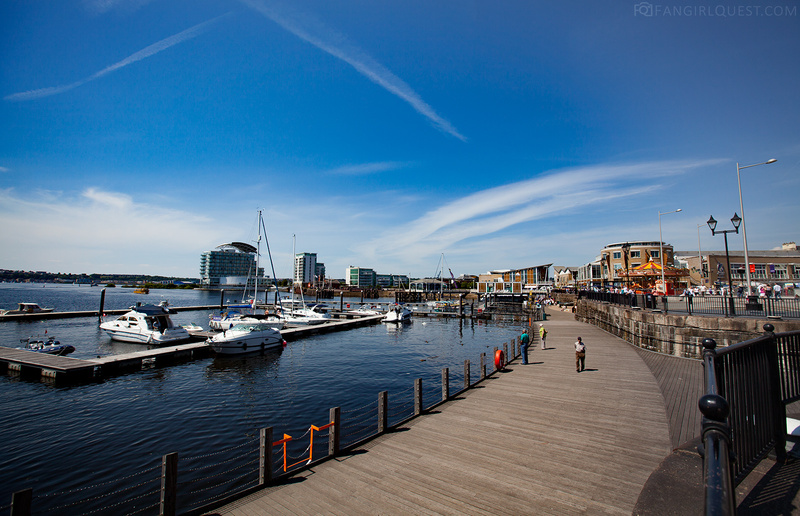 We’ll be concentrating on a more specific travel guide later for those travelling from London to Cardiff, but first we’ll have a look at some of our favourite locations in the city and outside of it, plus on a few accommodation & food tips in the city centre and in Cardiff Bay. 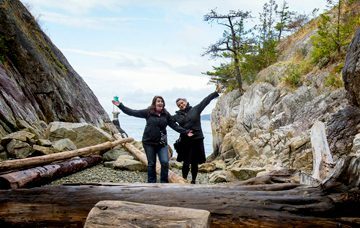 Please note that this collection of locations and things to do is just a list of our favourites! 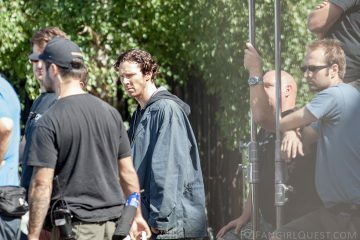 We’ve written a handy Cardiff Filming Locations Guide with all the locations shown on the map at the end of this post. 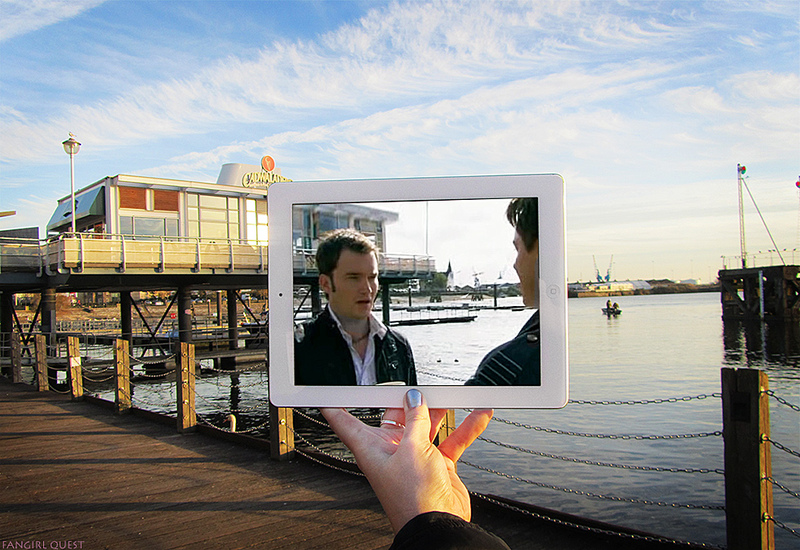 The locations guide will help you find all the coolest spots from Sherlock, Doctor Who, Torchwood during your visit! 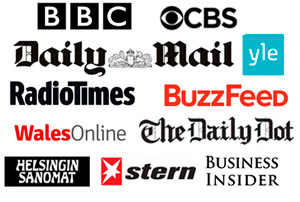 Where to stay: a hotel, a hostel or a serviced apartment? During our several trips to Cardiff we’ve stayed in both fancy hotels and affordable, snazzy hostels. During our recent visit though, we decided to go with an excellent alternative to all of these: a serviced apartment. The reason we did was the fact that we wanted to prepare our own breakfasts and spend some time together during our short stay. And what better way to do that than to stay in a apartment with multiple bedrooms and a fully equipped kitchen? 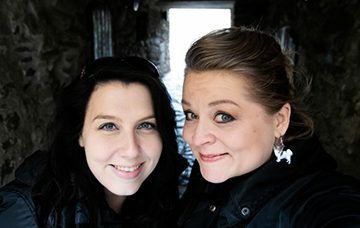 It’s like we were roommates for two days! Since we were familiar with A Space In The City, the company that offers serviced apartments in a few locations in Cardiff and Swansea, we decided to stay with them. And since we had tickets to (the brilliant, incredible, mind-blowing) Derren Brown show in the Millennium Centre, we were very happy to hear we could stay in the building right next to it! A Space in the City Cardiff Bay: comfy living! We loved it so much! The apartment was clean and comfy, we had a big fridge for our drinks and food, and slept like babies. You can check out A Space in the City’s apartments and offers on their website. Don’t be shy about contacting them and asking more about your options either, as they’re all genuinely lovely people and will personally make sure everything is set and ready for your visit once you arrive. We could literally see the Millenium Centre from our windows, which was lovely. Me and Satu had missed it a lot after living in the Bay area and walking past it for dozens of times. The Centre hosts a huge number of performances and exhibitions each year, and it’s a really beautiful building – both during the day, when the sun reflects off of its steel clad roof treated with copper oxide, and during the night, when the different colour lights glow through the letter-shaped windows forming the words CREU GWIR FEL GWYDR O FFWRNAIS AWEN (Welsh, translates to “Creating Truth Like Glass From Inspiration’s Furnace”) and IN THESE STONES HORIZONS SING. We just really love this building, ok? The Millennium Centre in Cardiff Bay: stunning! And another amazing thing: once you’re stood in front of the Millennium Centre, you’ll be standing where Captain Jack Harkness and Gwen once stood before disappearing underground through the invisible elevator and into the Torchwood HQ. 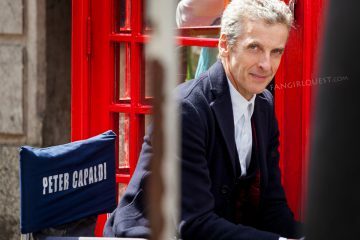 The Centre has made numerous appearances in film and television including Doctor Who, whose modern era is produced locally by BBC Wales. 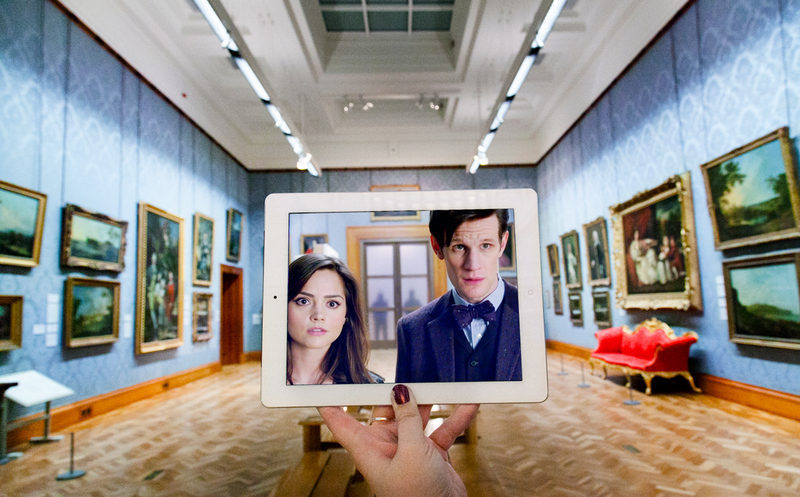 It has appeared seven times to date: as itself from outside in the episode “Boom Town”, its marquee momentarily at the end of the episode “Bad Wolf”, its lobby as a hospital lobby in the far future in the episode “New Earth”, and again in “The Girl Who Waited”,. 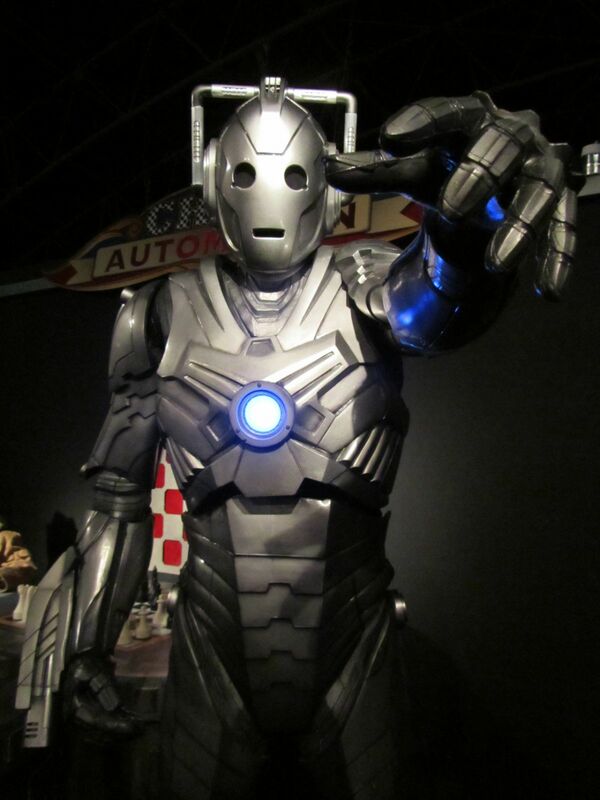 It also appeared briefly in the episodes “Utopia” and “The Stolen Earth”, and also in the final episode of series 3, “Last of the Time Lords”. Now, some of the locals often jokingly complain about the Bay being “so far from everything”, when in fact it’s just a couple of miles from the city centre. Plus, the cab fares are pretty affordable due to their low starting fee: you can get a ride from the Bay to the city centre (or vice versa) for as low as £5. One of the great things about Cardiff in general is the fact that it’s a very compact city: you can do some luxury shopping on Queen Street, discover the lovely small shops in the Arcades, have a cup of coffee in a lovely cafe in the bustling city centre and then make your way to Bute Park in just a few minutes to have a lovely little stroll in one of the largest urban parks in Wales. 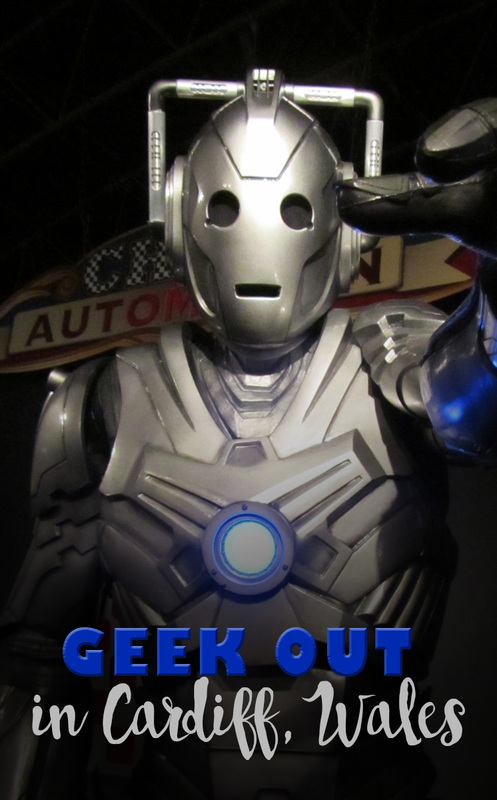 And if you’re visiting the city for all the Doctor Who and Sherlock activity, keep your eyes open! 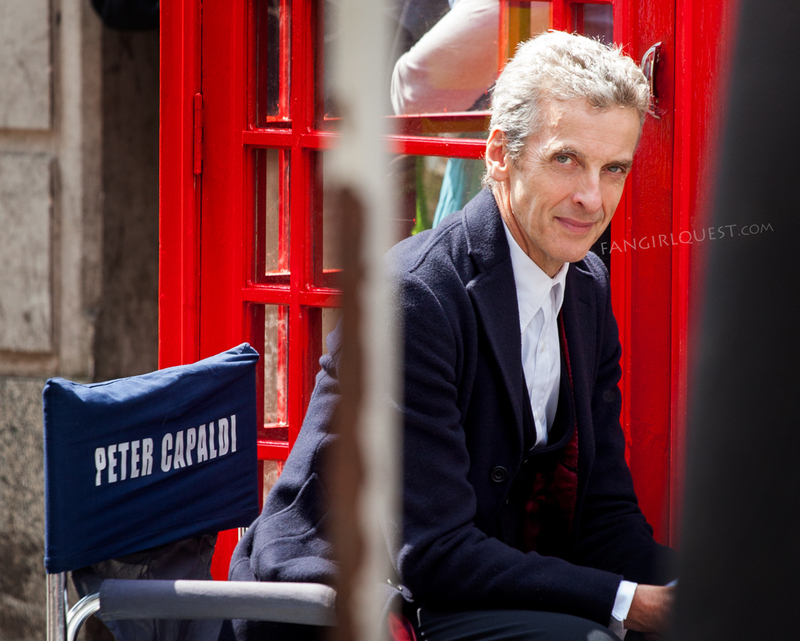 Who knows, maybe you’ll get lucky enough to bump into Peter Capaldi or Benedict Cumberbatch in action like we’ve done within the past couple of years. 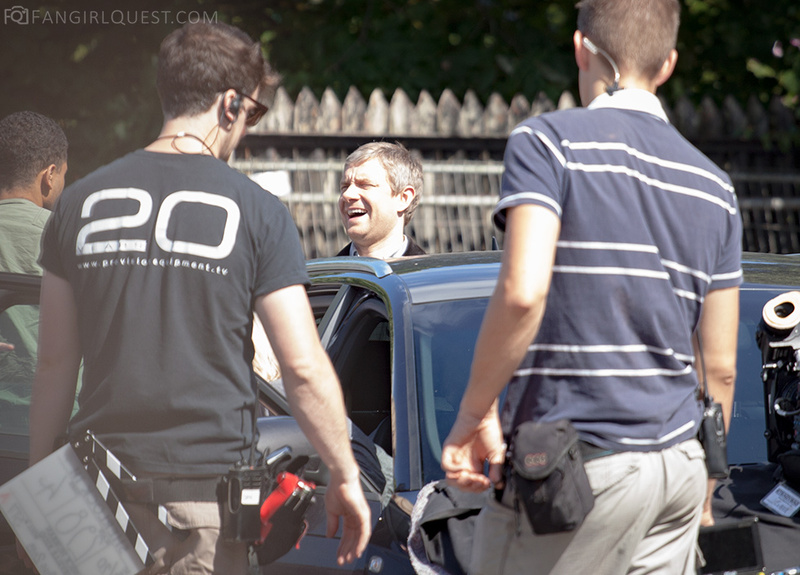 Martin Freeman filming Sherlock in Cardiff Bay, Wales. In case you want to see more set visit photos, have a look at this collection of posts plus our many, many photos from the Sherlock filming (“Setlock”) in our Tumblr blog! 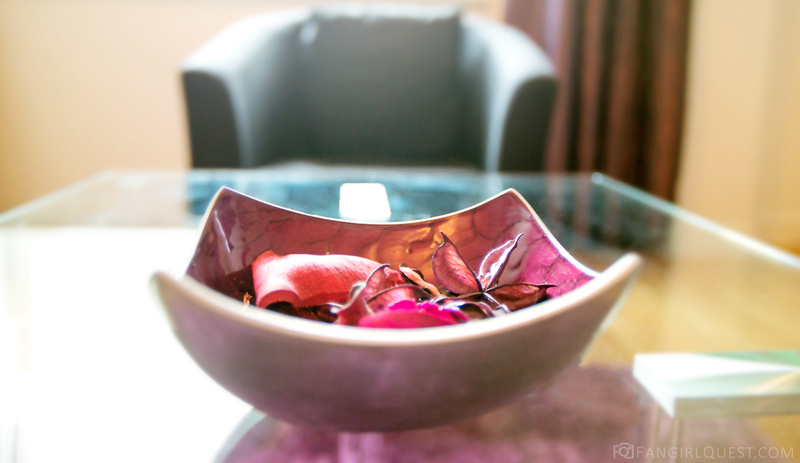 We had a meal and a few snacks in our serviced apartment with A Space in the City as it was convenient and time-saving for us during our hectic roadtrip days in Cardiff. However, we couldn’t resist having some breakfast at The Deck, one of the most popular cafes in Cardiff, known for the ridiculously tempting cupcakes and delicious breakfast and lunch. If you ever get the chance to go over for sandwiches, cupcakes, afternoon tea or lunch, don’t miss it! There are also tons of restaurants and cafes in the Bay with plenty to choose from: pub food, Italian, burgers, sandwiches, steak, Indian – you name it. Before the Derren Brown show we ended up having a nice meal at The Mount Stuart, a Wetherspoon pub & restaurant with a lovely terrace. 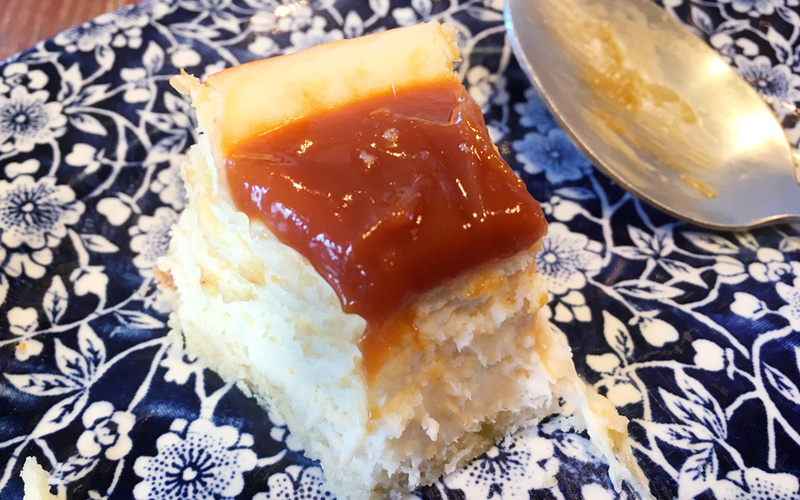 And let me tell you… we’ll probably be talking about their salted caramel cheesecake for years to come. After Derren’s show, we invited over a few of our local friends for catching up and a drink to our home away from home. 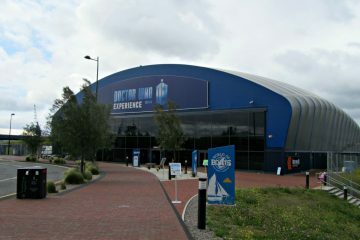 For loyal followers of the Doctor, this is pretty much THE place to visit. It’s not as massive as the Harry Potter Studios which you can tour outside London, but you will still find things to look at and experience for at least a couple of hours. 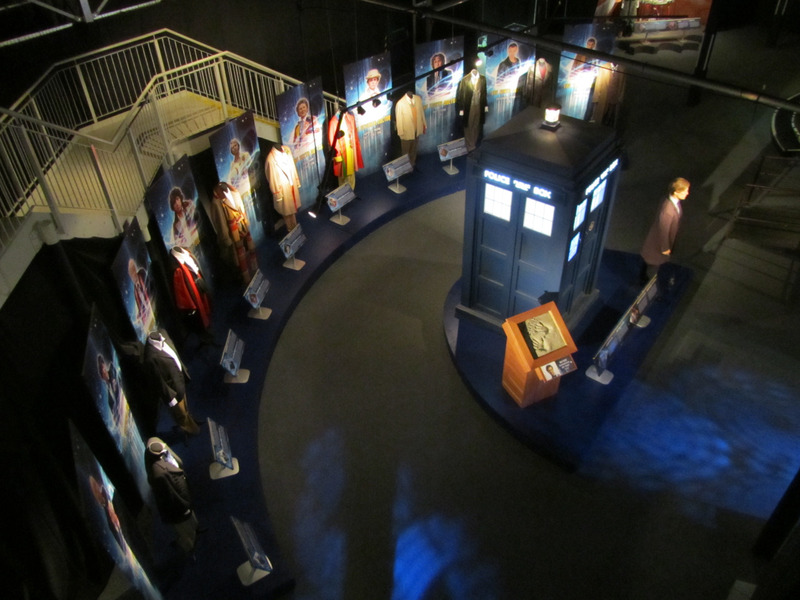 Mostly, the Doctor Who Experience is an exhibitions of all things Who, but there’s a little interactive part in the beginning so you might want to buy your tickets in advance to make sure you’ll get an entrance time slot suitable to your own schedule. 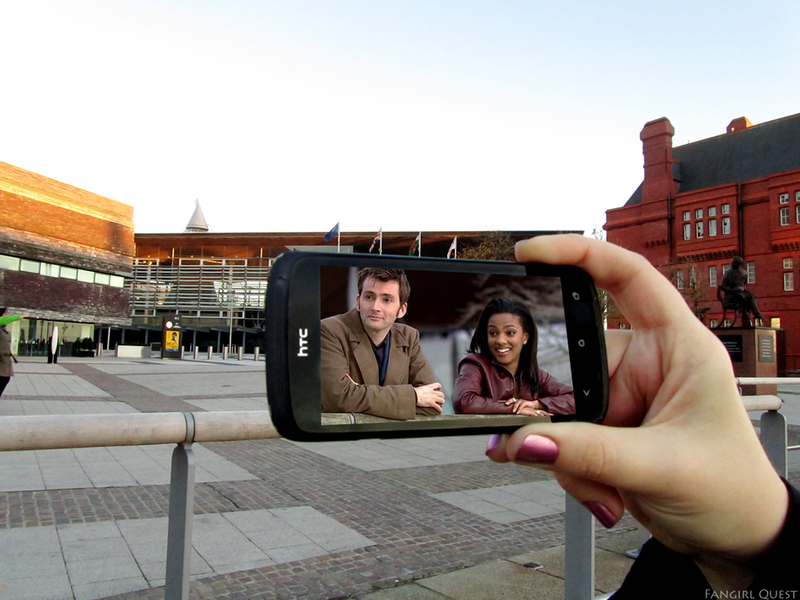 If you make your way down to the Experience, you can also take a short walk to the BBC Wales drama studios. This is where they film the TARDIS bits and the 221B Baker Street interior scenes for Sherlock. Unfortunately, they don’t do guided tours at these studios, but if you casually walk past the main entrance, you can catch a glimpse of a Dalek and a poster featuring misters Cumberbatch & Freeman. 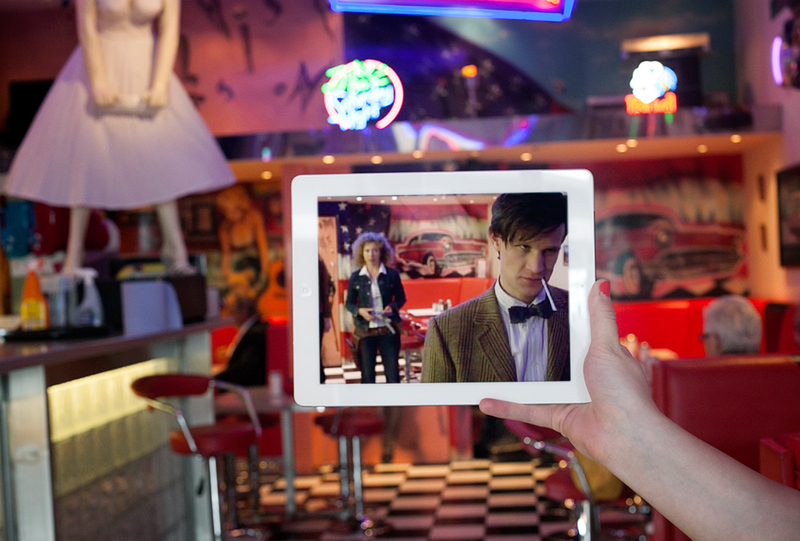 What makes Cardiff the perfect geeky travel destination? The answer: filming locations! 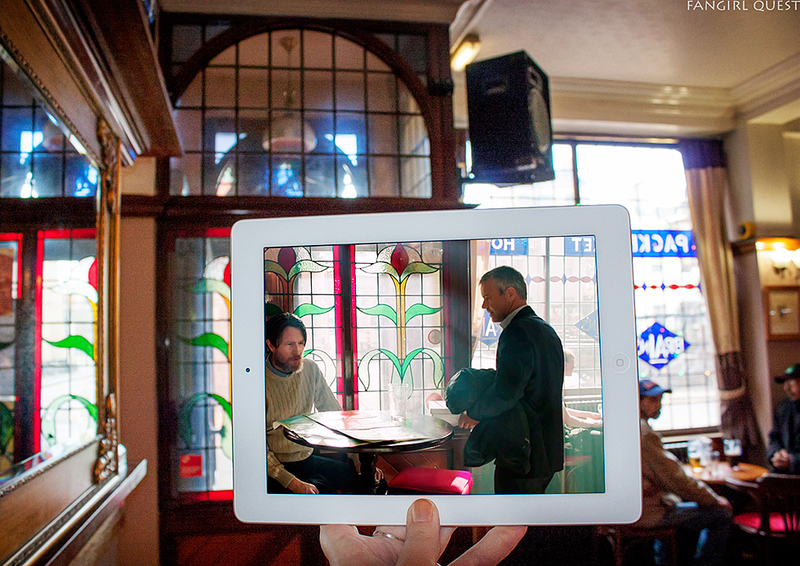 Here’s a few examples of the Sherlock and Doctor Who locations we’ve discovered. 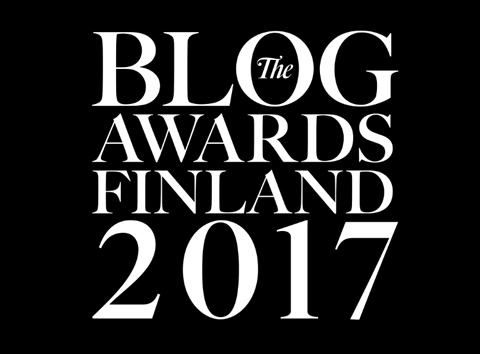 You can view the full list & a handy Google Map here. 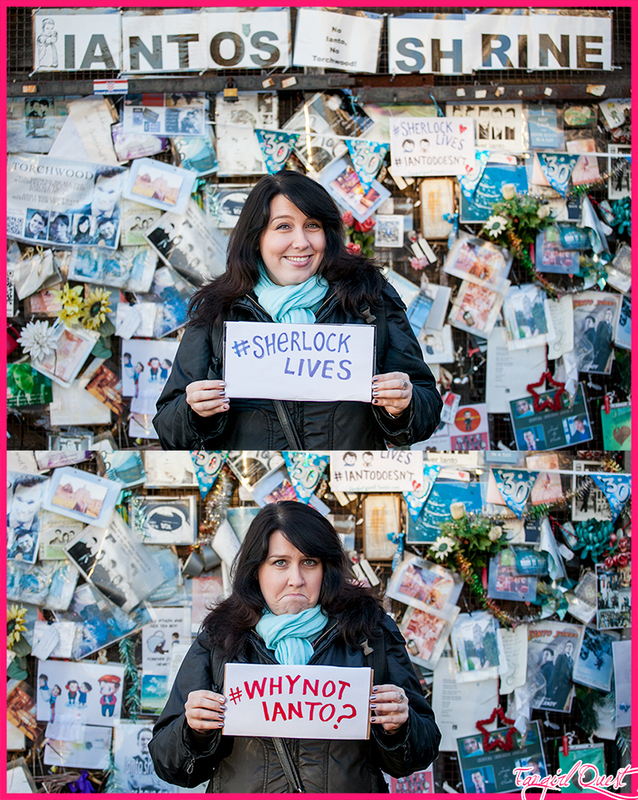 Filming location for Sherlock, Doctor Who and Torchwood. No admission fee, a gift shop and cafe plus of course, beautiful art and other things to look at. Warmly recommended! 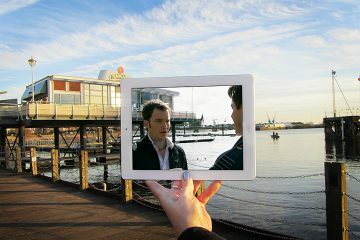 Filming location for Doctor Who and Torchwood. 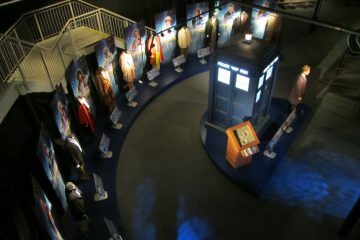 Right next to the Millennium Centre, surrounded by pubs, restaurants and very close to the Doctor Who Experience. During summers, there’s usually all sorts of things going on in the plaza. 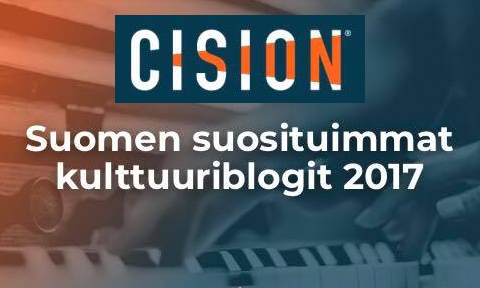 Food, drinks, activities for kids, performances and more! This lovely little pub in Cardiff Bay served as the filming location for the Sherlock mini episode called Many Happy Returns. It sort of feels like you’re walking into the regular customers’ living room, but both the staff and customers are a very friendly bunch of people! A good place for a pint or two. 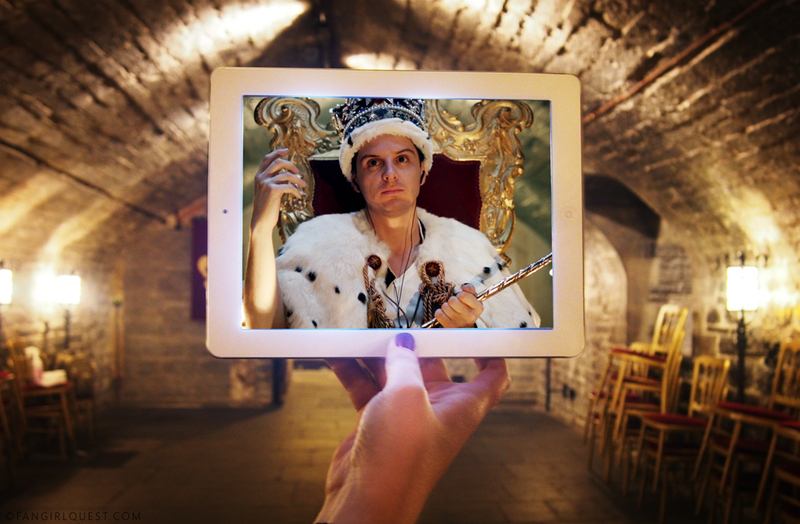 The room where they filmed Moriarty stealing the crown jewels on Sherlock isn’t actually in London, but a private event room in Cardiff Castle. Visitors can’t access this room, but there’s plenty of lovely things to see in the castle around it! 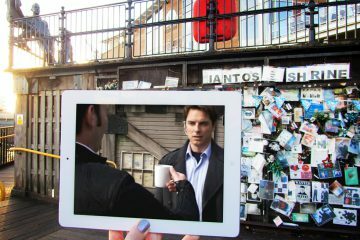 The filming location for the Torchwood HQ scenes was transformed into a shrine by the mourning fans, and all of it is decicated to the character named Ianto Jones. It’s still there after all these years, full of notes and memories left behind by fans from all over the world. 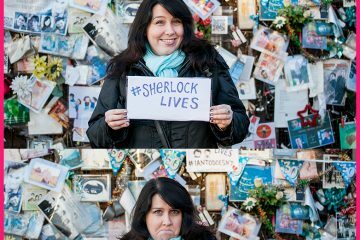 Frankly, even if you’re not a fan of the show, you should visit this: it’s an incredible testimony to fandoms and their love for fictional characters – even recognised by the city of Cardiff (look out for the small plaque erected on the wall next to the shrine). 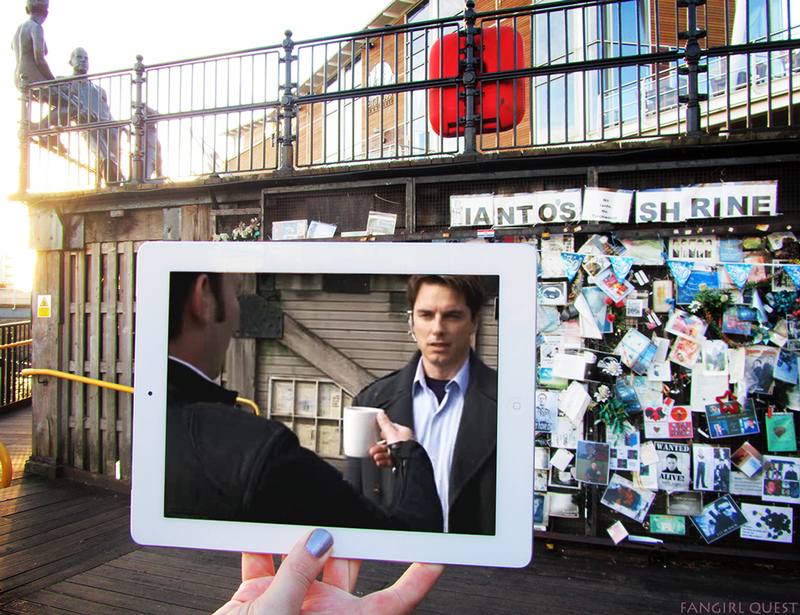 Jack Harkness and Ianto Jones talking in front of the Torchwood HQ, now a memorial spot for the show and one of its characters. his guy in blue shirt doesn’t seem to be concerned about the guns, like, at all. 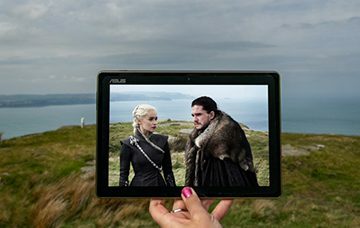 Check out our handy Filming Locations Guide to Cardiff to make the most out of your stay!